One type of learning strategy that works well for many students is creating songs or rhymes for memorizing multiplication facts. Look at the popular Schoolhouse Rock series. Many students have learned their multiplication tables with these catchy tunes. You can find the lyrics to the different songs at the previous link or purchase the CD or DVD to prepare for a multiplication quiz. 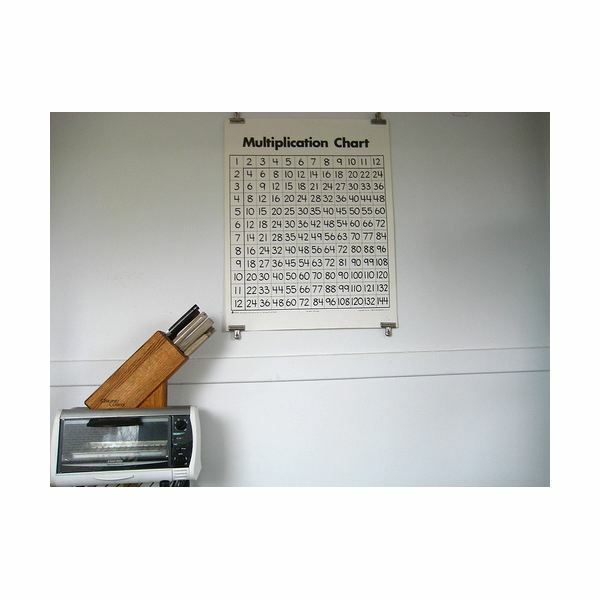 You can also make up your own multiplication facts rhymes or chants with your child. For example, take the fives times tables. For example: "Five times one is five. I am alive." Clap! Clap! "Five times two is ten. We are going to win." Clap! Clap! and so on. You can also teach your child to count by 3s or 5s or 9s, for example, and count in a rhythm. Then when your child sees a problem such as two times nine, he can chant, "9, 18" and know the answer is 18. If your child loves music and has an easy time remembering song lyrics, then this learning strategy works well when memorizing multiplication facts. Some students learn best by practicing their multiplication facts repeatedly with flash cards or drills. When students are first learning their multiplication tables, it helps to keep the flash cards in order from least to greatest and with only one times table. For example, students would study the five times table, starting with the 5 x 1 flash card and moving to the 5 x 12 flash card last. Correct answers should be printed on the back of the flash cards, so students can self-check; and so they are not practicing the wrong answers. Multiplication flash cards are also useful if students have free time in the classroom, and they can help each other practice for multiplication quizzes. When I taught third grade, I often suggested my students practice with their flash cards when watching TV–during the commercials–put the TV on mute and practice away. Drills, another learning strategy, can help some children learn their times tables and memorize multiplication facts. Drills are when students repeat their multiplication facts orally such as, "Ten times one is ten. Ten times two is twenty." Some children benefit from writing the drill instead of speaking it. The strategy that will work best for your child corresponds with what type of learner they are–auditory, visual, tactile, and so on. Use a few different learning strategies and see which one works the best to prepare your child for a multiplication quiz. The best way to learn multiplication tables, no matter which learning strategy you use, is to focus on one table at a time. For example, students can learn their twos, then threes, then fives, and so on. When your child is learning a times table, make sure he understands why three times two is six or nine times eight is seventy-two. If students understand the concept of multiplication and the pattern in each times table, they will often memorize their multiplication facts quicker. Making multiplication meaningful and focusing on a small section at a time is another learning strategy that works for some children.